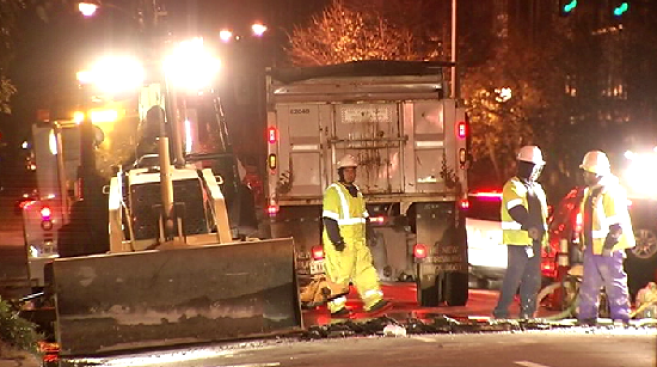 Work to a broken water main in Old Town Alexandria has wrapped up, but the road remains closed. The 8-inch main broke at 7 p.m. Thursday on South Henry Street between Prince and Duke streets. A crew from Virginia American Water had to dig up part of the street to reach the broken line. Repairs to the main were finished around 6 a.m. Friday, but police remained on scene to enforce a road closure. It's not clear why the roadway is still closed.